Oumar Ould Hamaha is a one-man whirlwind of piety and fury. For more than a decade he has — by his own account and others — raided government outposts in Mauritania, Algeria and Niger; held Western hostages for extravagant ransoms; and proselytized a ferocious asceticism over the barrel of a gun. Riding with al-Qaeda in the Islamic Maghreb, he has crisscrossed the shadowless Sahara in the service of a god he envisions as unforgiving as the desert itself. He has invoked Koranic verses to protect himself from the “evil work of devils” and “the biting of snakes and scorpions,” learned to navigate by the sun, moon and stars, and believes that meteor showers are battles between djinns and angels. It has been a ferocious transformation for a former student of accounting. His zealotry might have remained a relatively obscure part of the Saharan underworld had Mali’s Tuareg rebellion and the subsequent military coup in Bamako not devoured the country this spring. The sudden tumult opened the door for al-Qaeda, which, in league with allies like Ansar Eddine, seized several major towns. Hamaha’s sudden shift in professional identity speaks to the complex tapestry of interests and tensions prevailing in northern Mali, and helps explain how al-Qaeda has exploited the chaos to such effect. 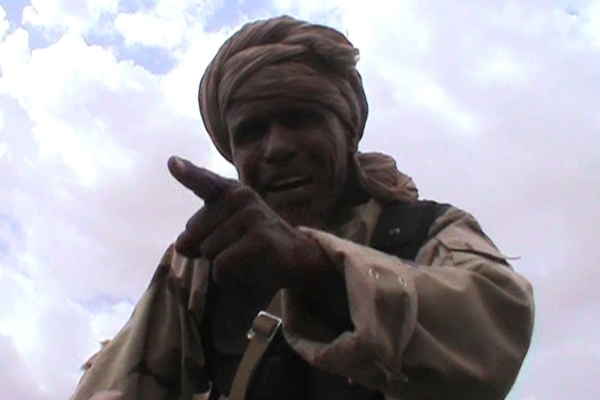 To the extent that anyone can control a swathe of desert bigger than France, Ansar Eddine, led by a veteran Tuareg troublemaker called Iyad ag Ghali, is nominally in charge. But the specter of ethnic war weighs heavily over the region, where a previous Tuareg uprising between 1990 and 1996 led to inter-ethnic atrocities. In Timbuktu, where Tuaregs are a minority, putting a local boy–like Hamaha, who hails from the city’s prominent Arab community — in charge makes better sense. Such expedients have allowed AQIM to inject operatives into competing jihadi outfits. Indeed, concern that northern Mali is rapidly becoming al-Qaeda’s most successful effort at establishing a caliphate to date has regional players scrambling for a response. Nigeria, Niger and Senegal have pledged to provide the core of a 3,270-member peacekeeping force to stabilize Mali’s politically fraught south and then tackle the militants. The announcement was promptly met with threats of retaliatory terrorist attacks. Even if such a campaign isn’t the jihadists’ priority, a suicide bombing deep inside Algeria by an AQIM ally called the Movement for Unity and Jihad in West Africa on June 29 showed that it is certainly within their means. And the fact is any military intervention would be hard-pressed to defeat the jihadists, who are highly motivated, flush with weaponry looted from the arsenal of the fallen regime of Muammar Gaddafi in Libya and have an intimate knowledge of the terrain. Hamaha claims that the jihadists also have a powerful card up their sleeves — surface to air missiles seized in Tripoli last year. “We have Russia-made SAM 7A and SAM 7B [missiles] and U.S.-made stingers,” he boasts. “We made more than 20 trips… between Libya, Niger and Mali [last year] with at least 17 vehicles carrying weapons coming from Libya… Western countries are not going to take military action against us in northern Mali, because they know we have the missiles to shoot down airplanes, and it is complicated to deploy troops in the desert. It’s why they say the Malian crisis should be resolved though dialogue.” Although thousands of shoulder-launched missiles disappeared from Gaddafi’s armories, there have been no confirmed sightings of them in northern Mali to date, and Hamaha refused to furnish TIME with pictures of the missiles or their serial numbers. His point about the impregnability of the jihadists’ position, however, rings, for the immediate term at any rate, eerily true.